Hello! I am Derek Rush, the Parts Manager here at South Centre Porsche and have been fortunate enough to purchase the 1984 911 Targa that many of you may have seen in our showroom. This “blog” will showcase the Porsche ownership experience of a Classic Porsche and will hopefully provide some entertainment for you as well. It will showcase the Porsche Parts and Service that I use to restore it, as well as the vendors we use for restoration. I will also update you on events hosted by South Centre Fine cars and the Wild Rose Porsche Club. I hope you enjoy it. For 18 years Amelia Island has been host to one of the world’s most notorious car shows, the Amelia Island Concours D’Elegance. South Centre Porsche was there for this 2013 event that celebrated the 50th anniversary of the legendary 911 sports car. With camera in hand, we took a handful of pictures of some of the great Porsche models that were in attendance to celebrate this milestone event. Time to give Domino some much deserved attention this weekend. Parts Manager Derek Rush Goes On The 991 Launch! What a beautiful day for a drive in the mountains. 48 cars including Porsches, Ferraris, Lamborghinis and others left the Crowfoot Parking lot Sunday morning, October 2nd, at 11:00 with a throng of people looking on. Perfect weather with an amazing backdrop of colors kept me and my son awing and ooing all day. The Porsche Club put on a great lunch at the Highwood House and an even better car show in the parking lot. This show of cars attracted a lot of attention (including a helicopter) with lots of cars and motorcycles stopping to take a look. A great job by the Club! Saturday morning, October 1st, we were met with cold and rain, yet we filled the Wurst parking lot with an assortment of Porsches ranging over 50 years. Numerous awards were handed out consisted of longest drive, oldest car and fan favorite. My son liked the yellow GT3 the best. We all enjoyed a brunch put on by the staff and camaraderie of all the Porsche members. 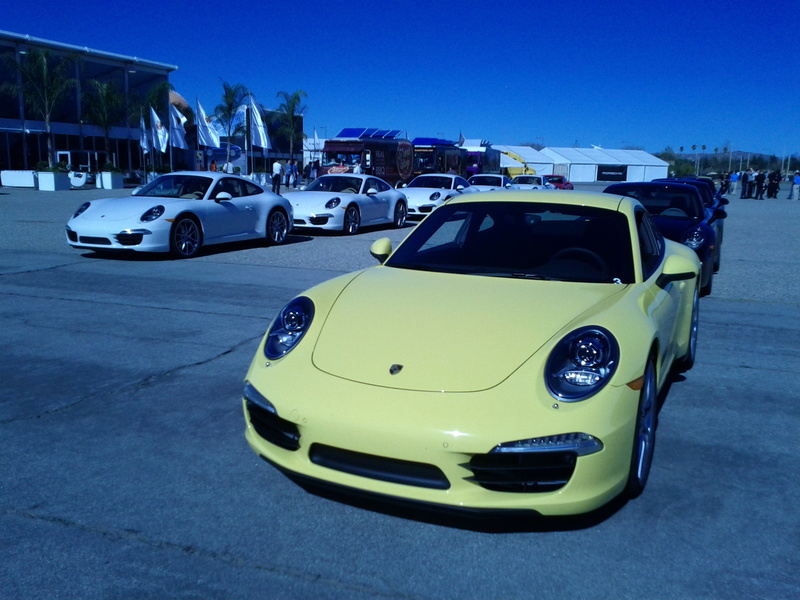 The Wild Rose Porsche Club hosted the final Race City Track day on September 30th. I was lucky enough to be invited by Paul Botting (Track Chair) to come and watch. I was really lucky when I was able to not go on one but two sessions around the track in Paul’s 996 Turbo (500 HP…no 499.5HP – sorry Eric) and Doug Connons GT3. After a quick change of underwear I enjoyed watching everything from Porsches to Ferraris to Vipers circle the Calgary track for the last time. Domino has had a nasty habit of not starting at the most inopportune times. The first time was the Porsche BBQ at Fritz’s, next in front of the gym, another time in front of Lick’s Ice Cream store. Every time it required an embarrassing push start from anyone who would help. I put my arms up in despair and left it up to Ron (our Shop Foreman) to track it down. For two days he had it on the hoist and of course started every single time! Finally she displayed her temperamental ways and refused to start. Ron tracked it down to a corroded battery cable inside the positive battery terminal (see pictures below). 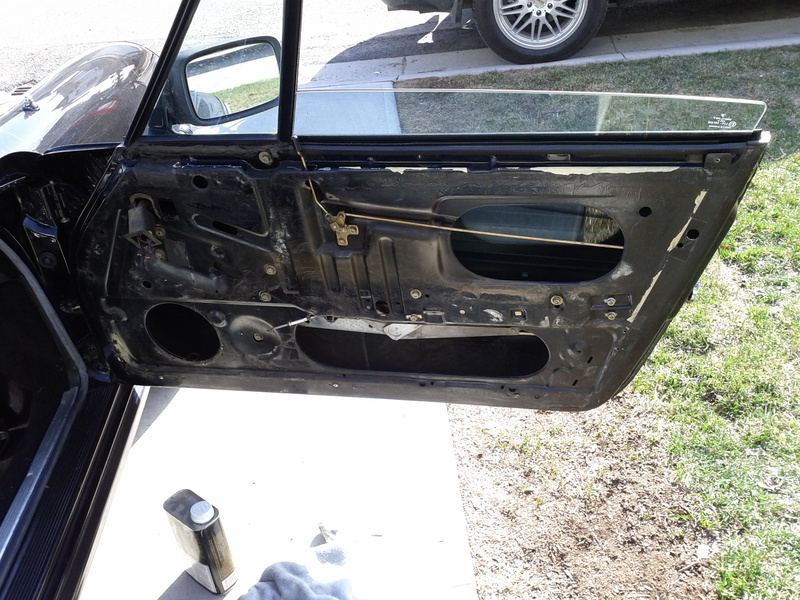 This repair is just in time for the Porsche club’s Oktoberfest car show this Saturday and Final Official Drive on Sunday. Hope to see you there. Porsche Rennsport Reunion IV will take place between October 14 to the 16 of 2011 at Mazda Laguna Seca Raceway. Both the men and machines that make Porsche Motorsport’s history as rich as it is are expected to draw one of the largest crowds in track history.